What Are The Consequences Of A Criminal Conviction In The State Of Georgia? An arrest resulting in criminal charges is one of the most serious legal scenarios you can encounter. An arrest or citation even for a misdemeanor or traffic offense in Forsyth County, Georgia can carry a potential punishment of up to a year in jail, heavy fines, and other serious consequences, such as suspension of your driver’s license. While one conviction with a seemingly minor punishment such as a fine may not seem like a big deal to you, it goes on your permanent record and can be used to enhance the punishment you face for every future offense. It may also be accessed by schools, employers, and others in today’s internet and social media era potentially resulting in harsh consequences you did not anticipate when you went to court on your own to just get it over with. Many of the harsh consequences of a criminal conviction may be avoided by simply having an experienced criminal defense attorney on your side. At Spaulding Law, we know the law and how to attack the weaknesses in the prosecution’s case in an effort to obtain a dismissal or reduction of the charges against you. The prosecution has the heavy burden of proving every element of the charge against you beyond a reasonable doubt, and no matter how nice the judge or prosecutor may seem, they cannot advocate for you and cannot advise you of all of the potential legal defenses available to you to avoid some or all of the harshest consequences of a criminal or traffic conviction. At Spaulding Law, we work diligently to find these weaknesses and defend your rights in an effort to obtain the best result for their clients. Attorney Jeremy Hayes, who leads Spaulding Law’s criminal division, is a former prosecutor who draws on his more than six years of experience as a prosecutor to help his clients obtain the best results from their cases. As a former prosecutor, Mr. Hayes knows the tactics and strategies utilized by local prosecutors in all sorts of criminal prosecutions and uses that knowledge and experience to help his clients obtain the best results in their criminal cases. Mr. Hayes has successfully helped many clients avoid felony convictions for serious charges, including among others, DUI and drug offenses, because he not only knows the law and the tactics prosecutors rely upon to try to obtain convictions, but he has instant credibility with other prosecutors across North Georgia. In criminal court, there is no better strategy than to know the playbook your opponent is using, and Mr. Hayes’s experience as a prosecutor provides him the ability to anticipate his opponent’s every move and counter it to the benefit of his clients. Mr. Hayes has experience trying numerous criminal cases to Georgia juries and appealing cases to the Georgia Court of Appeals and Georgia Supreme Court. From speeding to murder, Mr. Hayes has experience handling all types of Georgia criminal cases. No matter what your case calls for, the skilled criminal defense attorneys Spaulding Law are prepared to mount the most aggressive defense available to protect your rights. Give us a call today to set up your free consultation to discuss your case and the options available to you! 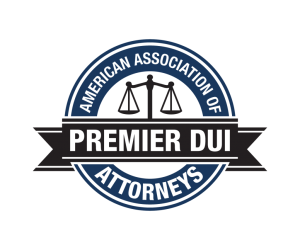 DUI is one of the most common and most serious criminal offenses encountered in Forsyth County. A conviction for DUI can result in a heavy fine, suspension of your driver’s license, jail time, community service, and other serious consequences. If you have been charged with DUI in Forsyth County, you may have only 10 days to save your driver’s license from suspension under Georgia’s Implied Consent laws. This situation applies if you either refused testing of your blood or breath or submitted to testing resulting in a blood alcohol content of 0.08 grams or more. Contact the qualified DUI defense attorneys at Spaulding Law for more information about the defenses available to you to protect your liberty and your privilege to drive in the state of Georgia. Drug charges are also serious offenses that can result in jail time and suspension of your driver’s license in Georgia. Many times, however, drug charges can be challenged under the 4th Amendment to the United States Constitution, which protects you from an unlawful search or seizure, unlawful traffic stop, or unlawful search warrant. In addition, Georgia has recently begun implementing treatment court programs as alternatives to jail for those struggling with drug abuse or addiction. Getting into one of these programs could not only save you from jail (and in some cases avoid a conviction), but also help you come out of the criminal justice process better than you went into it. Mr. Hayes has worked with these treatment programs for years and can help you determine if such a program is an option for your drug case. If you are facing drug charges in North Atlanta, contact the drug defense attorneys at Spaulding Law today for a free consultation on the charges you are facing and the defenses available to you! Traffic charges are probably the most common charges in the Forsyth County area. Every day police officers hand out dozens of traffic tickets (citations) for things as minor as speeding or running a stop sign, to things as serious as reckless driving or driving on a suspended license. While it does not make financial sense in every traffic case to hire a defense attorney, certain traffic charges such as super speeders, underage speeders, driving on a suspended license, reckless driving, and others can carry serious penalties including heavy fines, probation, community service, lengthy driver’s license suspensions, points on your license, and even jail time. These consequences make it well worth it to hire an experienced traffic defense attorney to fight the charges you face. A traffic defense attorney can also advise you on steps you can take to try to minimize or mitigate the damage from the most serious traffic offenses. If your traffic charges were the result of an automobile accident, your traffic ticket could be used against you in a civil lawsuit to help prove your liability and help the other driver obtain a civil judgment against you. If you are facing serious traffic charges in north Atlanta, contact the experienced traffic defense attorneys at Spaulding Law today for a free consultation on the charges you are facing and the defenses available to you! Can A Defense Lawyer Provide Representation For Clients In The Appeals Process? Sometimes your case may not go the way you hoped, and a judge or jury may rule against you in a trial or motion hearing. You have a right to appeal any conviction to one of Georgia’s appellate courts, but you must act quickly to preserve your right to do so. Most appeals must be initiated within 30 days of the conviction. The criminal appellate attorneys at Spaulding Law have years of experience arguing cases before the Georgia Court of Appeals and Georgia Supreme Court and obtaining favorable results for their clients. If your criminal trial or hearing did not go the way you hoped, contact the experienced criminal appeals attorneys at Spaulding Law to discuss the appellate options available to you to continue to fight the charges against you. A criminal defense lawyer Spaulding Law is here to speak with you about your criminal charges. Do not hesitate to give us a call at (470) 336-5562 or fill out a contact form on this website.